Truth ? I know you all are confused with the title but in my last article ‘ INTEQAAM : Expect – The Unexpected ‘. I told someone was plagiarizing my work , they have copied and swapped my character’s of their own as they wanted. Well………….I never mentioned the name of plagiarizer nor the stories name which were being copied but Anusha and her two defenders came on her own and claimed that I am talking about Anusha and her new story. At start I just meant to warn ‘ Anusha ‘ that I have my eyes on her and I know what she was doing but she didn’t accepted Infact her supporters defended her by terming ‘ That it’s her personal choice to use Character’s as she want when her story line is different ‘. If she wants’s to write something I haven’t stopped her but using those Character’s whom I had given life and put in my all efforts to create them you think it’s okay to copy and swap them ? Do you really think it’s easy to create a character ? 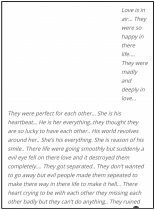 Ms Anusha you just ruined my two Character’s with in 5-6 lines whom I created and wrote by doing everything possible……..I made Character Aesthetics , I gave Character Sketch , I wrote a seperate episode for my reader’s to actually form the Character’s in their imagination when they read. Before I say something else about this matter and proceed ahead……………..I have given some pictures so that you can easily differentiate. 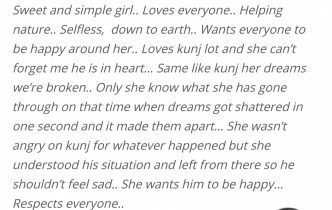 Twinkle’s Character in her Story ! 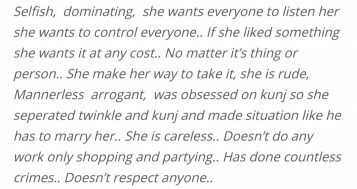 She Copied Aahana and Nastasha’s character swapped them on Twinkle and Tanya ? Do you think everyone is stupid to buy any rubbish you want to say ? How come you also have to take Niti Taylor only for Tanya’s character when I used her for Aahana ? It’s crystal clear that you have done this deliberately cause you can’t accept the fact that I used Jasmin Bhasin for a negative character but haven’t I mentioned at the very start in ‘AUTHOR NOTE’ that it was General Fiction with a Fusion Couple ? But no………you and your some supporters could not buy that fact and you decided to get back on me with this ? Ain’t this a bit weird ? Or say some kind of magic that without mentioning your name you and your defenders came to knew I was talking about you ? It simply means that you and your defenders were very well aware of the Fact that what you have done and it wasn’t a mere coincidence. That is the reason you all came up defending yourselves when I never mentioned anyone’s name. Secondly…………………You first claimed you never read my story but after your friend’s told you about me doubting on you for copying my story you came and said that…….’ You have checked your and my story but didn’t found any similarities except the EXACTLY same Character Sketch but how is this possible when I ‘ MUTED ‘ you on Friday evening before the ‘ INTEQAAM Article ‘ was posted so how can you read my story that time ? Do answer this question……….OKAY ! 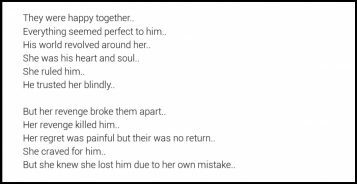 Now………The start of Anusha’s Story. You all who came to defend her might have read my story on Wattpad right ? Then may I know your usernames ? After all no one can read story on wattpad without having an account there ? Now……………Since Ms Anusha you really don’t think you had previously said that you haven’t copied but proves are infront of everyone. I might not have to do this but since you didn’t want to admit your mistake…………I had to show proves so I guess now no one can deny that it could be a coincidence. I give you two day’s to accept that you have done this else I will submit this to Tellyupdate and Wattpad as promised. After all even I should know that those who are my silent reader’s on wattpad came here to defend a plagiarizer. 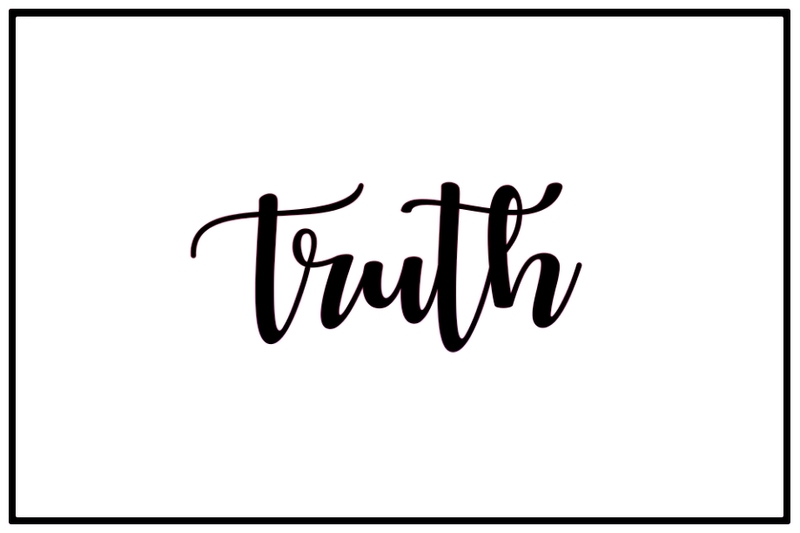 The post ~ TRUTH ~ ( Must Read ) appeared first on Telly Updates.